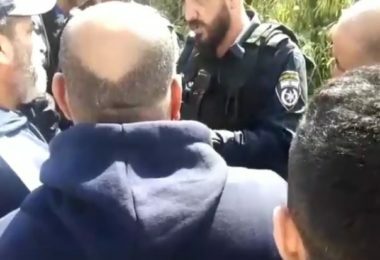 Israeli soldiers abducted, on Friday at dawn, a Palestinian nonviolent activist, from his home in the al-‘Isawiya town, in the center of occupied Jerusalem, for calling for a marathon in the occupied city. Media sources said the soldiers abducted Mohammad Abu al-Hummus and took him to an interrogation facility in the city. They added that the Palestinian recently called for massive participation in marathon in Jerusalem, including the Old City, to counter a marathon held by Israel in the occupied city. On Thursday at night, the soldiers released Samer al-Qabbani, one of the guards of the Al-Aqsa Mosque in Jerusalem, who was taken prisoner, Thursday, and interrogating him for several hours. 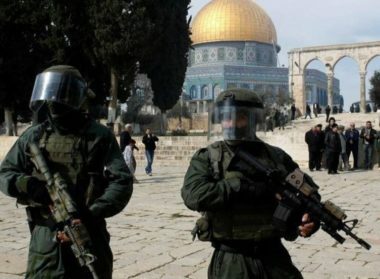 The Palestinian also received orders denying him access to the Al-Aqsa Mosque for five days.